Cathy Sullivan Mustone, left, and Roberta Tyne Smith take a moment to remember their brothers at the Fishermen’s Memorial. Their brothers David “Sully” Sullivan and Capt. Billy Tyne were lost at sea in the Perfect Storm of 1991. Roberta Tyne Smith, now 60, recalls hearing the phone ring 20 years ago this weekend — at 5 p.m. on Halloween in 1991. 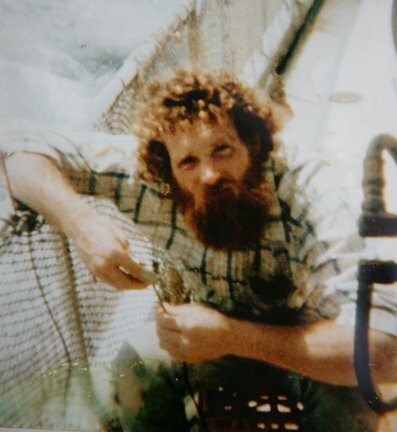 On the line was the ex-wife of Smith's brother, fishing captain Billy Tyne, calling to tell Roberta that the Andrea Gail was three days overdue. "I was in the middle of getting ready to go trick-or-treating with my three sons," said Smith, who now lives in Manchester. "But life changed dramatically from that day forward. "My biggest regret is that Billy never got to see his children grow up. Billy loved his children more than anything. He always looked forward to coming home and spending time with them." Tyne and his five-man crew on board the Andrea Gail were lost in what is today known as The Perfect Storm. And the telling of their story — both in Sebastian Junger's best-selling book "The Perfect Storm: A True Story of Men Against the Sea," published in 1997, and again in the blockbuster Hollywood film of the same name, released in 2000 — has made the term "perfect storm" a common part of the American lexicon. But memories of the storm — and the Andrea Gail tragedy — remain painful here in Gloucester, especially for the families who can never forget those days two decades ago. The so-called "storm of the century" was a deadly combination of three weather fronts comprised of southward-moving arctic energy which collided with a northward-moving tropical storm combined with an offshore Atlantic storm. The meteorological phenomena began developing over the western Atlantic on Oct. 26, 1991, hitting its peak on Oct. 30, and finally passing through by Nov. 1. The trail of damage, which extended from Nova Scotia to Florida, sunk boats, killed 13 people and ravaged parts of the East Coast with damage estimated close to $500 million. Hurricane force winds continued more than a day, with Thacher Island clocking gusts at 74 mph, according to the NOAA information service. One weather buoy in the Atlantic recorded a wave at more than 100 feet. Information from the National Climatic Data Center shows that Massachusetts bore the brunt of the storm's wrath, with an estimated $100 million of damage, followed by New Jersey with $75 million. Gloucester paid the highest price, however, with the loss of the Andrea Gail's crew. The storm, first referred to as the no-name or Halloween storm, left a black hole in its wake. The immediate loss was apparent with the Andrea Gail, but another generation would feel the reverberations as local children grew up without their fathers. Both Tyne, a Gloucester native, and Bobby Shatford of Gloucester left two children behind. Crew member Dale Murphy left one child. Growing up in the shadow of such a public tragedy would impact these young lives as well as the parents and siblings of the crew members — and all would be forever reminded in a public way of the story of these fishermen. Smith, who had lost her other brother in 1966 in the Vietnam War, recalled how Billy loved to dress up as Santa for Christmas to make a special appearance for his children, nephews, and friends' children. "He was so passionate about playing Santa, he bought a suit from Brown's Department Store in Gloucester," she said. "That was Billy, always having fun." The Tyne family lived on Gloucester Avenue around the corner from the Sullivan family. Tyne recruited David Sullivan to work on the Andrea Gail when another man dropped out at the last minute. The captain also was a close friend of David's older brother Mark. In friendship and in fishing, the bond between the Tynes and Sullivans was sealed when the Andrea Gail disappeared. "There are reminders of Billy all over town," said Smith. "One special place is at the Boulevard near the Fishermen's Memorial. There, I sit on the bench and watch the boats go by. "Sometimes I think about our childhood and Billy's contagious smile," she added. "My brother is never far from my thoughts and prayers. Billy had many close friends and I am touched by how many people still miss him. It was Billy's friends and my family that got me, my husband, and my sons through this devastating loss." Cathy Sullivan Mustone, 52, lost her younger brother, David "Sully" Sullivan, who was 29 when the Andrea Gail went down. He was a full-time fisherman — the last man hired for the fateful trip to the Grand Banks. Cathy learned of her brother's disappearance through a friend who had heard the rumor in town. "Hearing about my brother's disappearance was a little bizarre, because at the time of the storm, my family lived close to Good Harbor Beach," she said. "Before the storm reached its peak, I videotaped the high tide and waves crashing in. It was a beautiful sight. "Ironically, looking at those rough waters," she continued, "I had no idea what my brother was going through at the same time." Shortly after hearing the news, the family met with the Coast Guard, which searched for more than a week for any survivors. The loss of the Andrea Gail also claimed the lives of crew members Dale Murphy, 30, and Michael Moran, 36, of Bradenton Beach, Fla., and Alfred Pierre, 36, of New York City. The loss of her brother is never far from Mustone's thoughts; like Tyne's sister, she is never far from the Fishermen's Memorial as she drives by it every day on her way to work. To remember David, each year she attends the Fishermen's Memorial Service and also places a pumpkin at the Fishermen's Monument each October. Her son Jason has a tattoo on his back that reads: Uncle David, 1991. Jason was 15 when his uncle disappeared. "One thing I think about is that my brother would have turned 50 this year," said Mustone. "Would he be married with kids now? What would he look like? I will always picture him as young and full of life." When asked about the portrayal of "Sully" in "The Perfect Storm" movie, she said she was disappointed. "They made my brother's character out to be a hothead," she said. "I guess every movie needs a villain, but my brother was a funny guy with a loud laugh and a big smile. He had a lot of guts and he loved fishing." In fact, David's bravery and quick thinking made headlines on a different boat— the Harmony. One night during a winter fishing trip, the Harmony began taking on water while tied to another boat. The crew of the Harmony yelled for help, hoping to wake the nearby crew. No one woke, so David dove into the icy water, pulling himself on the ropes that tied the boats together. As a result of his bravery, the Harmony's crew was saved. "At least in the movie, they did represent my brother's bravery in a water rescue scene," Mustone said. "He was a good man. And I just know he is at peace in heaven, safe with our Dad." Bobby Shatford also would have turned 50 years old this past March 22. "He was 30 when he died. He was so young — they were all so young," said Mary Anne Shatford, his sister. "David (Sullivan) was the same age and they were the youngest of the crew. "I can't picture him being 50," she said of her brother. "I remember him as 30. That person just freezes in time. But we are lucky that he left children." Shatford's two sons remained in Gloucester, raised by their mother, Lisa Shatford O'Brien, who had been separated from her husband at the time, but was supported by nearby family members on both sides of the family. O'Brien recalled trying to figure out how to tell her boys the news that their father — who would grill his boys peanut butter and jelly sandwiches — might not return to shore again. "They grew up like most kids, playing sports and hanging out with friends," she said. "But they don't talk about it much." Their older son, Bobby Shatford, now 29, graduated with the Gloucester High Class of 2000, and was part of the Northeast Conference team that won the basketball championship that year. He works at Varian Semiconductor in town, and is just a year younger than the age of his father when he died. Like his father, he loves basketball. Jonathan Shatford, now 26, married Rebecca Baylies in 2007, and the couple lives in Maryland where he works as a veterinary technician and continues his studies. O'Brien said she believes that the film was harder on the boys than when the book came out. In the movie version, the children of Shatford's girlfriend were portrayed, with no mention of Shatford's own two children. But a couple of months after the June release of the film - on Sept. 24, 2000, on a wharf at Harbor Loop — a fund-raising event for "The Lady Grace a.k.a. Andrea Gail Children's Educational Fund" raised some $18,000 that was administered by The Gloucester Fund and later distributed among the crew's children as they pursued higher education. The Lady Grace was the fishing vessel that essentially stood in for the Andrea Gail in the film. O'Brien also noted the attention that actor Mark Wahlberg — who played the role of Bobby Shatford in the film — gave to her two boys in the wake of the film, making an effort to spend time with them, either going to the beach or going out to eat. In a rare public moment this summer, Capt. Tyne's two daughters — who moved to Florida with their family as children — gave a moving tribute to their father at the annual Gloucester Fishermen's Memorial Service on Aug. 13. Billie-Jo Tyne-Fintel, 32 and Erica Tyne-DiSanto, 30, shared their memories before a crowd of hundreds of residents. "Bad things do happen and how we respond defines our character," said Tyne-DiSanto. "We chose to rise from our pain and let our father's memory live on in us. Our father taught us to treasure life itself." Mary Anne Shatford, who was one of six children, said the family developed a special bond with author Sebastian Junger, whose book gave the weather anomaly its lasting name — The Perfect Storm. "He was so respectful when he wrote the book," recalled Shatford. "The book was bittersweet for us. We suffered our loss. But the interest created by the book brought a lot to the economy of Gloucester and the fishing industry. It made people sit up and listen about how dangerous fishing is." In fact, the book was the catalyst that created a public appetite for television shows such as "The Deadliest Catch" and other programs related to the dangers of commercial fishing. She recalled that Junger showed both kindness and attention to their mother, the late Ethel Preston Shatford, who had worked as a bartender at the Crow's Nest. Junger spoke at her funeral after Ethel died on Oct. 30, 1999, eight years to the day after the storm that took her son's life. "As long as she was alive, she never got over his death," said Mary Anne Shatford. "A mother never gets over losing a child." Shatford, a second-grade teacher at West Parish Elementary School, still receives emails from students around the country who contact her through the Crow's Next website, often because of school projects. "I always email everybody back," she said. "I just got one last week, from a student whose class had to read 'The Perfect Storm' and they had to pick the unsung hero to write about." There was more than one fisherman in the Shatford family. 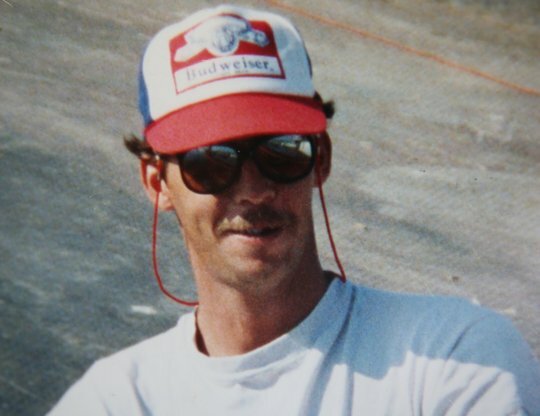 Rick Shatford, 53, a fisherman for more than 30 years, was working in Hawaii at the time of the 1991 storm when he learned about his younger brother's fate. "I was out fishing when I got the news," he recalled. "They were still searching, and I ended my trip. It took me a couple days to get home to Massachusetts to be with the family." He knows well the power of the ocean. "I think about it when I go fishing sometimes, but when I'm not on the water, I don't think about it," he said. "But I think that book opened up a lot eyes. In Gloucester, I grew up surrounded by water and surrounded by fishing. It was just a way of life." Rick Shatford, who had seen the film version twice before it was released to the public, said it's not easy to watch because of the emotions it can stir up. "It's not like it used to be," he says, "but it's something that will never go away." Times Staff Writer Gail McCarthy can be reached at 978-283-7000 x3445, or gmccarthy@gloucestertimes.com. Terry Weber is a local freelance writer who worked as a Times correspondent on this story. She can be reached at bartlett103@yahoo.com.